nice quality. Just bought a second larger rug for my patio! Dimensions 66.93 In. X 43.31 In. X 0.16 In. Purchased for a screened in summer room. The multi color is a tan with light brown/gold. It's pattern is like a tweed. Made of a sturdy jute like material. Looks very nice & worth the price. 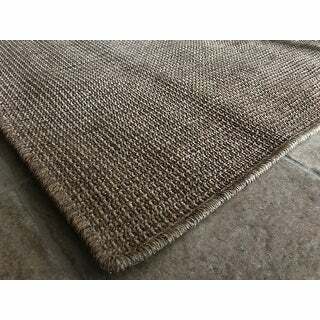 This rug is a high quality rug and it really looks like a natural fiber rug even though it’s synthetic. The color and texture are true to the photos online. I purchased this rug over a month ago and I could not be more pleased. I have two dogs and our living room receives lots of traffic and this rug does great. It is easy to vacuum and easy to walk on. I highly recommend this rug!! I love the color of this rug. I use them indoors and out. 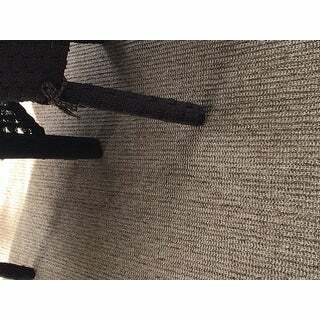 Neutral look goes with everything I recommend carpet tape to keep in place as they can slip on wood floors. I LOVE my Rug! It’s so big and I love the way it smells! 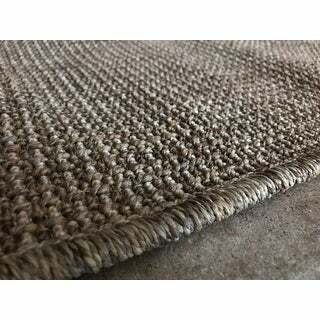 I LOVE these rugs, this is our second one I have purchased, as I wanted it in a different size, I highly recommend these rugs, as they look like a sisal, but can be easily washed off, perfect as a runner in the kitchen. 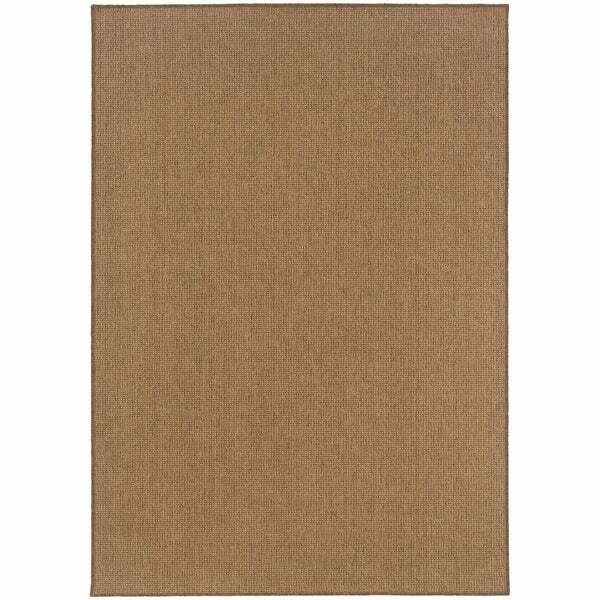 I purchased two of these rugs for my outdoor area. They're perfect! size and color are right on and they seem to be holding up well. The rug is nice and thick. It is medium brown which can easily match with any color. The dislike is that I thought it is thin from the description said 0.16 but it won't fit in my bathroom, can't open the bathroom door. Also, it doesn't look like the picture online at all. I guess, I will keep it for my kitchen instead. Super durable rug, but still has a lot of style. We initially had this in our screened in room, but moved it inside to another area. It suits both indoor and outdoor areas well! Love this rug. The color was great and it feels good on the feet. It’s a perfect size. gets a lot of traffic and always cleans up well just with a vacuum, looks great! I put this rug by my back door to help manage the mess from my dogs coming in from the yard. It looks nice and is very durable. This is exactly what I needed for my exterior entry, I put the welcome mat over the top and it gives it the exact pop I wanted.Looks so much classier than a simple welcome mat and helps cover the ugly cement I so desperately want to change. Review would have been a 5 but the size was not what we ordered. Simple good quality outdoor rug. It stayed on my terrace all summer through wind, sun and rain. The rug dryed fast and hasn’t left a smell. One the season change I rolled it up and stored it easy. The color is still the same. No dry spots. Love the rug. Warms up the covered patio. "Is the 3x5 actually rectangular or a more of a runner? There are 2 measurements and they seem to differ." "I want to put this on a deck that has a patio underneath.Will rain penetrate through to the patio underneath?" "is this a mat or an outdoor rug with some substance to it? i mistakenly bought a cheap thin mat, and never got it to lay flat. i want something with texture and or thickness"
It is .16 thick. The sizes are in the option tab. "does this rug need a pad under it to protect from scratching hard wood floors?" Used mine on a deck outside ... it is perfect for that application. I do not think it is refined enough for indoors. Mine is indoors, but over carpet. I think you could put it on a hardwood floor, but I'd definitely use a pad. "how do you remove stains & clean this product?" I recommend spot cleaning this material using no harsh chemicals.